Do you have a hot sauce you can’t live without (Homeboy’s Hot Sauce maybe?)? A bar you go to weekly? Maybe a cookbook that you use for everything? Well so do we! With our newest blog Things We Love Thursday we will share some of our favorites with you! These posts will never be sponsored or facilitated in any manner. For our first TWLT we wanted to start with one of our all time favorites, Homeboy’s Hot Sauce! Homeboy’s Hot Sauce was created by Jacob Cutino. We first discovered it at the Uptown Farmer’s Market. We have kind of followed him like stalkers since! 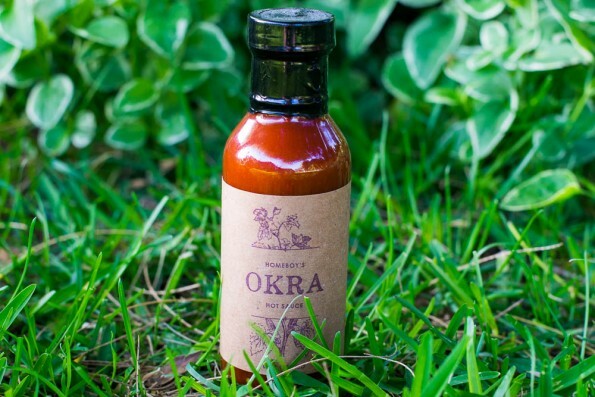 We own all of the varieties (Habanero, Jalapeno, Ghost [seasonal], and the Okra Hot Sauce [created for Chef Cullen Campbell’s restaurant Okra]). The recipe was inspired by Jacob’s stepfather who is from Trinidad. The story goes that he used to always make this pepper sauce and it was so hot that you could only put a couple drops on whatever you were eating. Ask Jacob about that sauce some time, his stories are great! Fast forward to about 2 years ago and with some encouragement from his wife Natalie (one of the sweetest gals you’ll ever meet), Jacob decided to dive in and sell his recipe which consistently disappeared any time he shared it. Now in a world full of hot sauces (and some darn good ones) you may ask, “what makes Homeboy’s Hot Sauce one of our favorites?” Truthfully, it’s the flavor! Now keep in mind we said flavor, not heat. These sauces have plenty of heat, but they also embrace the flavor of the chilies they are made from. Rarely do you find a hot sauce that is more than just heat or one that utilizes other flavors as the main component. Jacob uses the pepper as the star of the show (not to mention, all of the ingredients are locally sourced). We use Homeboy’s Hot Sauce on tacos (duh?! ), eggs, and we are even working on an egg salad recipe that we were hoping to share, but alas, it just isn’t ready yet! There is more, but it really is best to leave you to your own culinary devices. Homeboy’s Hot Sauces are being used in restaurants across the Valley such as The Larder + The Delta in DeSoto Central Market and Okra. You can also find them for sale at the Gilbert Farmer’s Market and Uptown Farmer’s Market, as well as some local shops like Arcadia Premium (if you aren’t local you can purchase them online on their website). We hear rumors (thanks to AZFoodie‘s Pop Up Dinner with Jacob) that there are a few new hot sauces in the works! You can also find Homeboy’s Hot Sauce on Facebook, Twitter, and Instagram. 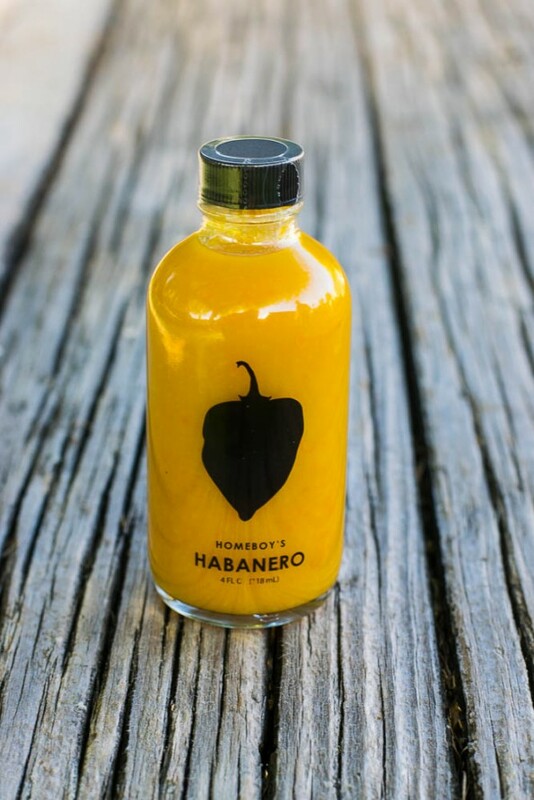 We will be doing a giveaway for a bottle of Homeboy’s Habanero Hot Sauce, so make sure you are following us on Instagram for more details!